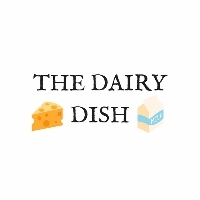 Our mission is to provide high-quality information related to dairy products and brands. We aim to educate consumers on common questions pertaining to dairy. Little by little we are building a resource of researched material that is focused on a wide scope of dairy topics. While we greatly enjoy dairy products, our goal is to provide unbiased information that is useful to many. We will not deliberately leave out information simply to tout the benefits of dairy. Additionally, we are not loyal to any brand and have not directly talked with any dairy manufacturers. If we do so and it relates to an article, we will disclose any connection we may have to a product in that article. Please contact us if you have any questions or comments. Also, please let us know of any articles you would like featured by one of our writers in the future. Thank you for visiting us!